Born in Seoul, South Korea, Jee-Won Oh has performed internationally as a chamber musician and soloist, having performed in Korea, Europe, South America, and the United States. Among her numerous performances she has given solo recitals and chamber music concerts in Lí¼beck, Paris, Rio de Janeiro, Salzburg, Seoul, Chicago, Detroit, Milwaukee, Minneapolis, New York, Philadelphia, Salt Lake City, San Francisco, San Jose, San Diego, St. Paul, on Ravini a's Rising Stars Series, and at the Kennedy Center for the Performing Arts in Washington DC. Ms. Oh has performed at many prestigious music festivals including the Schleswig-Holstein Festival, the Ernen Musikdorf, the San Luis Obispo Mozart Festival, the Sitka Summer Music Festival, and the Park City International Music Festival. Ms. Oh regularly collaborates with her husband, cellist Mark Kosower, and has appeared in concert with him across the United States and abroad. Recent and upcoming performances include return engagements on the Great Performers Series at Lincoln Center and at the National Gallery of Art in Washington DC as well as performances at the Philadelphia Chamber Music Society, at Barge Music in New York, at the Kronberg Academy in Germany, at the Sala Cecí­lia Meireles in Rio de Janeiro, and at Kumho Art Hall in Seoul, Korea. In April 2006 she recorded the complete works for cello and piano of Alberto Ginastera along with a Hungarian album of music by Dohnányi, Bartók, Kodály, Liszt, and Popper for the Naxos label. 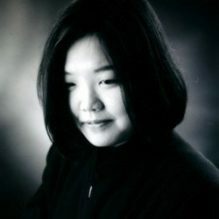 Ms. Oh was the studio pianist and assistant to the famed cellist Janos Starker for five years and was an Associate Instructor of Piano at Indiana University from 1994-98. She also received her Masters Degree in Piano Performance from Indiana University where she studied with György Sebök and Shigeo Neriki. Mr. Oh received her Bachelors Degree from Han Yang University in Seoul where she was the recipient of a Young Chang Piano Foundation scholarship.